Natalie graduated with her Master of Social Work degree in December of 2015. 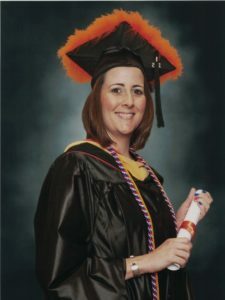 While pursuing her master’s degree, she secured two internships — one with the Family Assistance Center and one with the Audie L. Murphy VA Hospital. She currently works as a Social Work Case Manager for UCHealth Poudre Valley Hospital in Fort Collins, Colorado. Natalie works with all patients on mental health holds and emergency commitment holds. She ensures safe discharge plans are in place for patients requiring acute or subacute rehab placement, sets up hospice and palliative care and provides support to families.